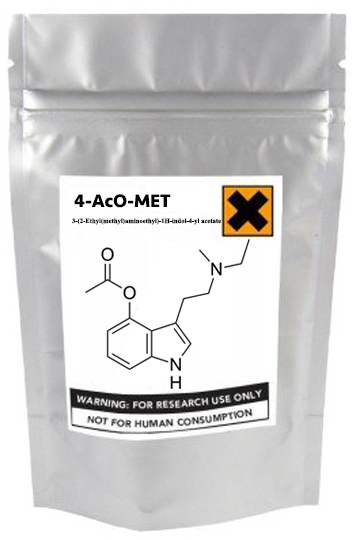 Buy 4-AcO-MET Online now…Available as the fumarate salt. Best Quality and Cheap!!! 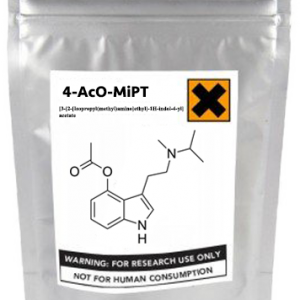 4-AcO-MET (4-acetoxy-N-methyl-N-ethyltryptamine), also known as metacetin or 4-Acetoxy-MET, is a synthetic hallucinogenic tryptamine. It is the acetate ester of 4-HO-MET, and a homologue of 4-AcO-DMT. It is a novel compound with very little history of human use. We currently stock 4-Acetoxy-MET in the form of salt for convenient research.